I’ve pretty much worked to patterns with every blanket I’ve made – the Scheepjes CAL, the Lydia Blanket, and Sophie’s Universe to name a few. 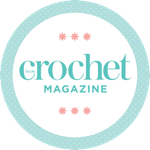 This is fab, and I love working to other people’s patterns – it’s a great way to pick up some interesting techniques and take your crochet to places you’d never have discovered alone. But… I had a craving to come up with my own design. So I did! And I filled it with stuff I love! While I do love the almost lyrical, romantic qualities of blankets like Sophie’s Universe and this year’s Mandala Madness CAL, what really makes my heart sing are bold geometric patterns. Triangles make me giddy. Squares within squares fill me with joy. I love a pattern which isn’t made up of completely uniform repeats, but has a little bit of an edge to it. I want predictable unpredictability in a pattern, with clean geometric lines – you can tell I grew up in the 80s. So, while I am still deep in the throes of my obsession with triangles (which is well documented on my Pinterest account! ), I chose squares for this project – because I’m also having a little love affair with the granny square. Oh, the granny square. It gets a bad rap I think. When I started crocheting, and even when I’d been crocheting for years, I just couldn’t shake the feeling that granny squares weren’t for me – and that they only came in brown, beige and orange. It is often seen in ugly colour combos, draped over the back of a couch in a sitcom, used as code for “this is a working class family, don’t aspire to be like them”, or “this person is not stylish”, or “this show is set in the 70s”. The granny square enjoyed a recent resurgence in popularity with Gigi Hadid’s appearance in a Rosetta Getty granny square cardigan and scarf. For 5 minutes after this, granny squares were the height of cool, but even then I thought the squares were a bit… inelegant? Eventually though, the obsession began to creep in. The foundations were laid when I made the superb Granny Stripe blanket from Attic24, in some gorgeous bright colours of Stylecraft Special DK. I taught a couple of classes on how to make a granny square, and seeing people picking their fabulous colour combinations (none of which were brown, beige or orange!) started to inspire me. But while I do love the traditional granny square, it felt a bit predictable for my first off-piste blanket. I needed it to be geometric, predictably unpredictable and bright. I didn’t want to sew it together – because I know from experience that that doesn’t end up happening (! ), so I wanted a join as you go blanket, with big, geometric motifs. She’s loud, she’s bold, she’s unapologetic she changes direction frequently, but underneath it all there’s a bit of order and logic to her. She’s… a lot like my actual “Granny” (we called her Nan!) was. You didn’t think I’d start with a “normal” Granny Square blanket did you? I used Stylecraft Special DK for this project – my default blanket yarn! I love how the bold colours clash and complement each other at the same time. I loved making these giant squares – it felt really freeing to work purely on my instincts! When I started the Unpredictable Granny project, I knew what I wanted from my squares – I wanted the corner of each square to be formed of a different square. Squares within squares, playing with how they fit together. I love how the oversized squares feel when put together. I wasn’t planning on adding a border to this blanket at first, but when I took my first full-blanket photos I realised it was really needed. The blanket looked unfinished without a border. See what I mean? She just looks a bit incomplete! As you know if you’ve read my Seven Deadly Crochet Sins post, I am usually rubbish at adding borders to my blankets. I have heaps of them sitting around without borders on. But for the Unpredictable Granny, I made an exception! I’m so happy with how the border turned out! As the whole blanket played with squares, I knew I somehow had to incorporate squares into my border. I pondered for a little while and then realised I could do this by just adding granny rows to the outside of the blanket in alternate colours, to create a checkerboard effect. I finished the border off with a row of single crochet to make the final granny row’s “squares” appear. The border finishes the whole blanket off really nicely. I’m utterly in love with this as a border idea – it adds such an edge to the blanket, I honestly couldn’t be happier with it. I love how the two colours came together in the border to really make it pop. A bold blanket needed a bold border, and this checkerboard style really delivered. I need to mow the lawn! Pretty though isn’t she? She might not be to everyone’s taste, but she makes no apologies. She works for me, and I think she’s going to continue to work for me in a couple of other colour combos! Ah, she makes me so happy! That’s a beautiful blanket! Well done. I wish I could make something like that. Beautifully done and Well done! I love the colours and it reminds me of lego. Gosh I want one of my own i bet it’s so comfy and snuggly. Great colours! Looks absolutely amazing! Love your granny meets log cabin design, and the border pulls it all together! thanks for sharing on craft schooling Sunday! And by the way, I don’t think there is anything “weird” about photographing your blanket on a hay bale, it looks perfectly at home! It’s lovely, you did a great job! I love the greometrical look and the combination of colors. Thank you for sharing at The Really Crafty Link Party this week. Pinned! She’s a star, I love the quirky unpredictable blanket.